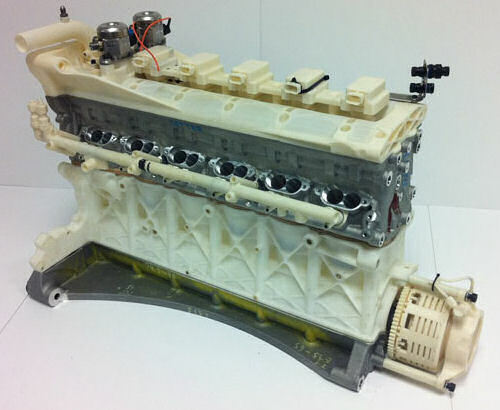 Rapid Prototyping has grown in popularity within the Formula 1 industry over the past decade thanks largely to the new techniques pioneered in the aerospace industry along with ongoing research into the materials available. Today many Formula 1 teams run SLS brake ducts and air ducts in addition to many more components produced in SLA. Operating within a highly competitive and time sensitive industry, Formula 1 teams fight to remain ahead in terms of design, wind tunnel testing and race track testing. Rapid Prototyping or manufacturing decreases production lead times by allowing design errors to be identified and corrected within days making it a critically important tool in the development of Formula 1 components. 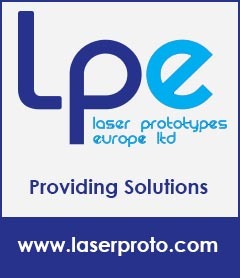 Capable of producing almost any shape Rapid Prototyping allows for teams to create even the most complex of geometries. Material developments have also lead to an increase in the range of applications available as materials such as Nanotool, CeraMAX and Bluestone offer the benefits of SLA components (smooth surface finish and high dimensional accuracy) with the durability and thermal resistance required to withstand wind tunnel testing. For Formula 1 teams running wind tunnels more or less 24 hours a day, these material advancements mean it is possible source components for testing within days rather than weeks. Leading Autosport teams such as Red Bull Racing and Aston Martin are both early adaptors of this technology. In 2011 Red Bull Racing opted to transport two Rapid Prototyping machines to the races inside the trucks. This move allowed the team to source components quickly with parts printed overnight and simply fitted into the cars on site the next day. The same year Aston Martin’s LMP1 prototype car, AMR-ONE, raised one big question, just how did George Howard Chappel and the team develop a car from scrath in just six months. The answer through the use of 3D printing and Rapid Prototyping technologies.